For two weeks now, we’ve had some difficult Gospel texts. Not difficult because they were hard to believe due to fantastic healings or miracles. No, the things in these texts are difficult in decidedly human ways. Last week, it was divorce and this week…..it’s money. Where is the Gospel in all this? What is the Good News here? Oh how I long for one of those walking on water stories or healing a paralytic. I’d even go for one of those casting out the demons scenes because wrestling with some kind of metaphysical demon might actually be easier than dealing with these kinds of topics. I think that really says something, doesn’t it? Well, in looking at these texts, I found some amazing things that make this easier to swallow. First is this. 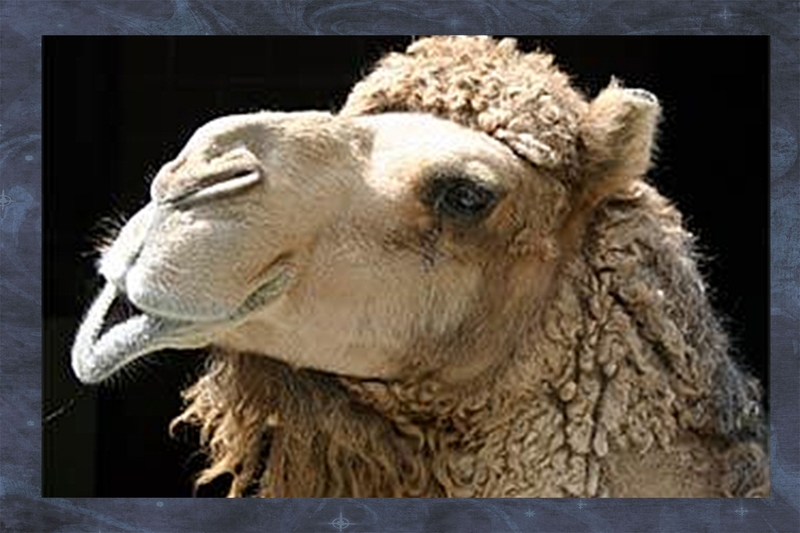 The word Jesus uses for camel—when he’s talking about something going through the eye of a needle—is actually very much like the word for rope. So maybe Jesus was talking about threading a giant needle with rope! Not easy, but doable, for sure. I mean, the disciples used huge bone needles to make their nets and nets are made from rope, so maybe that’s what he means. It’s hard and you have to work at it and make sure what you are doing with your possessions is useful. That’s how a rich man gets into heaven. Or, how about this: when Jesus says if you give up things to follow him, you’ll get a hundred fold more in the next life and in this lifetime, he’s really saying that if you give to the church, you’ll get rich! Yeah, that’s it! Ok, no, that’s not it. In fact, none of those are really it. Truth is, hard as it may be to hear, Jesus really does tell the man who has come to him for instruction to sell everything, give the money away and follow him. He really does say that a person who loves money and possessions, getting into heaven is like trying to cram a big ole smelly camel through the eye of a tiny little needle. And he really does say all that you lose, all that you give up, I will replace. And I will replace it all many times over both now and in the time to come. In today’s story, Jesus is on his way. He’s on a journey as the gospel writer puts it, and his disciples are there with him as he’s going along. Up until now, Jesus has been doing a lot of things on his travels. The disciples have witnessed healings, casting out demons, and multiplying fish and bread to feed thousands. They’ve seen him welcome children. Somewhere along the line, a few of them had witnessed Jesus atop a mountain standing with Moses and Elijah. At least twice he has told them that he was going to be killed and then raised on the third day. They had all struggled to understand, often getting it wrong, but when it came right down to Jesus asking them who they said he was—Peter was able, on sheer faith, to say “you are the Messiah”. Wonder if anyone there remembered what Jesus had just said about eternal life—the Kingdom of God? Last week we heard it: those who receive the Kingdom like children are the ones who enter. So the Kingdom of God, eternal life, Jesus himself, is something received. Received like a gift or an inheritance. And this man is asking how he can EARN this gift—a gift that is, by its very nature, un-earnable. In the conversation between Jesus and this man, Jesus turns his question around to the word Good, as though this is unnecessary flattery. You know the commandments, he tells the man. Do not murder, commit adultery, steal, bear false witness or defraud. You are to honor your father and mother. The man then tells Jesus: Teacher, all my life I have done these things. Now we get down to the really interesting part: why is this guy asking Jesus anything at all? He is a Jew and Jews believed that they needed to obey the Law—the Torah—the commandments—and though it was an absolute requirement, it was all that was needed. So, if this guy had obeyed the commandments all his life, why is he asking Jesus anything? Why would there be a question at all? He’s done what he would need to do to inherit eternal life, at least as far as the Jews understood it anyway. What’s left to ask? This is the crucial part here. He believed himself to be a Good Man—perhaps even good enough to EARN the Kingdom of God. When he called Jesus Good, Jesus turns that “good” around on the man, saying that only God is good. You know the commandments and you’ve done them all, but still, it is God alone who is good. All your good actions don’t earn this inheritance. They never could. This man, like many of the people then, perhaps even like many of us today, was relying upon his own abilities. But if that’s the crucial part, then here is the first twist: Jesus looks at the man and loves him. It is important for us to learn from scripture how to live our lives and to seek an example in the actions of Jesus. But it is perhaps most important of all for us to see what scripture tells us about God. Jesus looked at the man and loved him. Now, Jesus is getting ready to tell him that all of that law abiding stuff is great but doesn’t really cut it. He’s about to tell him something that would completely turn his world upside down. And Jesus knows it is nigh impossible for him to do it. And even so, Jesus looked at him and loved him. How could that be? Obviously, he isn’t good enough—maybe even a little arrogant for thinking he’s good. Jesus tells him: only one thing missing. Go and sell all you’ve got, give that money away to the poor and you will have treasure in heaven. Then follow me. We often hear Jesus’ words about the ‘one thing missing’ as if they point to “selling” and “giving away”. Those are not missing things. They are things to get rid of. They are the things that are in the way, taking up the space where the missing thing should be. What’s missing is the treasure in heaven. What’s missing is the very inheritance the man was seeking to EARN. Jesus is telling him he lacks the treasure of the kingdom because there’s stuff in the way taking up the place where THIS treasure should be. What is this treasure—this treasure of heaven? Well, that would be Jesus himself. We hear that the man went away grieving. He was full of sorrow because he had many possessions. Despite all the law he had obeyed, despite the moral and upright life he had lived, he lacked the treasure of heaven; the one thing he sought. Not because he wasn’t good enough or upstanding or righteous enough but because there was not room in his life for it. One of my favorite TV shows used to be one called “Clean House” and it is about people who want to live a normal, healthy life but cannot seem to get there because their homes are so full of stuff! It is clear that the clutter, junk and accumulated possessions are holding these people back from really living. Often times, the possessions are symbolic of their old lives, relationships or habits they need to give up but can’t seem to shake off. A team of designers and remodelers comes to the participant’s houses and helps them discern what to keep and what to discard or give away. The theme is often about what do you need to make room for in your life and what needs to go so that you can do just that? There are many tears when people have to give up their possessions, but a great life is waiting for them on the other side of this loss. In a sense, Jesus is telling the man to ‘Clean House’. You want eternal life? Treasures of heaven? You want me? Then make room for me because right now, your life is filled up with a bunch of other stuff you don’t need. Your hanging on to all that stuff from your old life and there is a great, new life with treasures you couldn’t even dream of waiting for you on the other side of that loss. So what do we treasure? What do we hold onto so hard, allow to take up so much space that we cannot find room for the treasures of heaven? What ties us down and holds us in place, keeping us from following Jesus? Keeping us from recognizing the gift; the free inheritance of Jesus himself? Are there bad habits in the way? Obsessions of one kind or another? Unhealthy relationships or jobs or life patterns? It is quite possible that the ‘possessions’ that get in our way may not be just material items. However, we also have to keep in mind that it may, indeed, be our material possessions, things and money that get in the way. We must be careful not to water down Jesus’ words just because they are uncomfortable for us. Whatever it is that we are holding on to may be what he’s talking about. Jesus says that it would be easier for a camel to go through the eye of a needle than for a rich man to get into heaven. Now all those silly things I said at the beginning, like the camel actually meaning rope or a camel gate in the wall around the city of Jerusalem, those are all real ideas that real biblical scholars came up with at one time or another. These weren’t just crazy ideas—there were learned people who were trying really hard to make sense of this text. They were also, at the same time, being incredibly human in their attempts. I think Jesus meant exactly what he said. And the disciples’ reactions are like ours—astounded. They even say to him: then who will be saved? Who indeed. A valid question. But here is the other twist in the story. Just like the point when Jesus looks at the man who had come to question him and loved him, Jesus points to God’s love for us all. For mortals it is impossible, but not for God. For God, all things are possible. I often wonder if Jesus had a little twinkle in his eye when he said that. After all, it is the same thing the Angel Gabriel said to his mother when announcing to her Jesus’ coming birth. It is an amazing and mysterious and powerful thing to say. For God All Things Are Possible. And there it is. There is the good news. There is the Gospel. There is the truth of it all. For God, All Things Are Possible. Jesus says that no matter what we give up, no matter who we give up, he has even more in store for us. You can’t out give God. For with Him all things are possible. Remember where were started in this story? Jesus is on a journey. He is on his way. His way to where? Jesus is on his way to Jerusalem. He is on his way to torture and suffering. He is on his way to betrayal and loss. He is on his way to giving up his very life; the most prized of all possessions. He is on his journey to the cross. But above all this, he is on his way to giving us the treasure of heaven: himself. His very life. He is laying down his life and going to death so that he may take it up again and give it to us. How could that be? Obviously, we aren’t good enough. Maybe we are even a little arrogant for thinking we’re good or thinking we could thread rope through a needle or sneak in the camel’s gate. Jesus knows we can’t do all that is needed and, on our own, we don’t know how to let go of all our possessions. And even so, even in that struggle, Jesus looks at us and loves us.